Click HERE to type your letter. 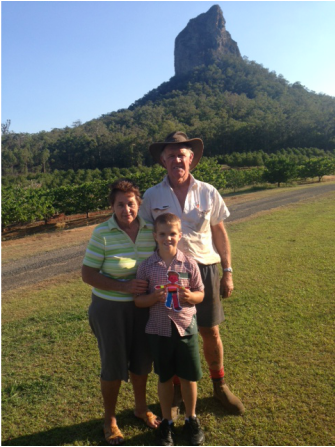 Flat Stanley has been to work with Grandad on the farm, to gym in Beerwah with Gran, had fish and chips on the beach at Caloundra and also to the Middle/Senior school presentation night at Caloundra. He is a bit tired! He had smoko with Grandad, Dad and our employee Dan on the farm too. Here he is on the farm with Gran and Grandad and me.